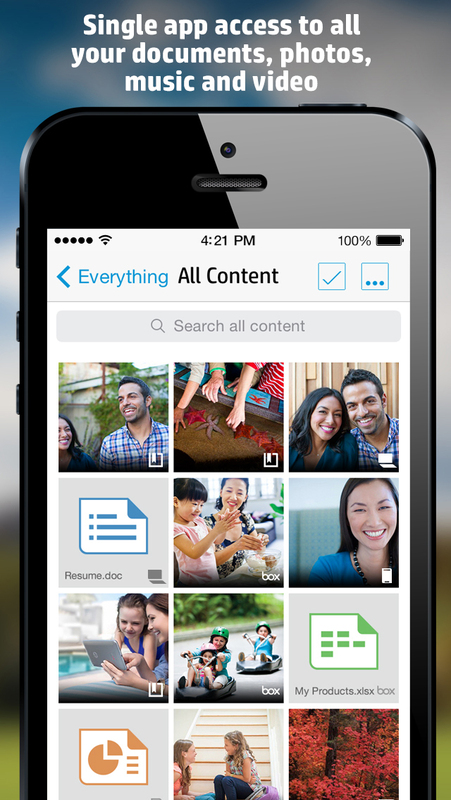 You can now access photos and files on your Facebook and Dropbox directly from the HP Connected Drive app! HP Connected Drive is the shortest distance between you, your data and what you want to make of it. 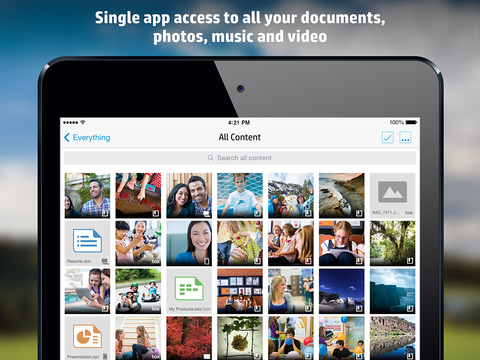 It gives you access to all of your files, across all of your devices and cloud services. Searchable. Organized. No more hunting for files. Whether you’ve got files stored on your phone, somewhere on your tablet or filed away on your PC, HP Connected Drive can help you find what you are looking for quickly and safely. You can access any file added to My Collection from a connected computer, tablet or smartphone. Your important documents, precious memories and music available to you when you need it. 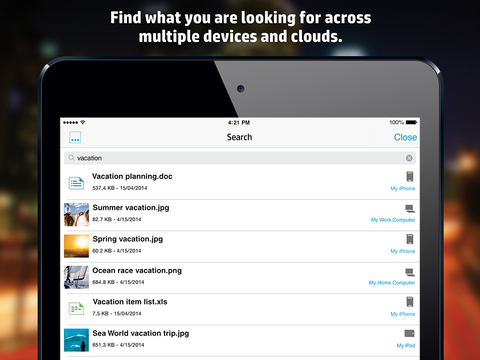 – Browse files on your devices and cloud services. One view for all your files. – Thumbnail or list view for quick preview of the content. – Your files indexed and findable across all your connected devices and cloud services. – Your content organized by device, service or file type. You decide. – Your credentials for HP Connected Drive gives you access to your content on our online service partners like Facebook, Dropbox and Box. No need to launch a separate app. – Files added to My Collection become accessible on any connected device. With HP Connected Drive you can have it all. In one place. • Added a “Sources” page – A single in-app touch point to manage all your devices and services. © Copyright 2014-2015 Hewlett-Packard Development Company, L.P.